Own a Materia Bikes bicycle? Send us your photo and feedback – we would love to have you featured here! 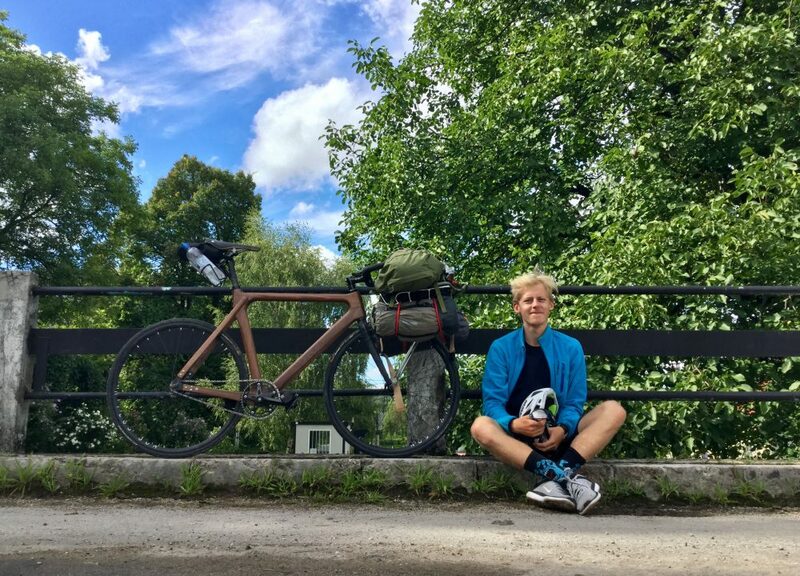 Here goes some pictures of my new wooden bike, living in the tropics. I’m quite satisfied! I normally ride it to the office and to the club. It’s very comfortable. As you can see, I put a small back pack. Thanks, once more, for all support and excellent job! 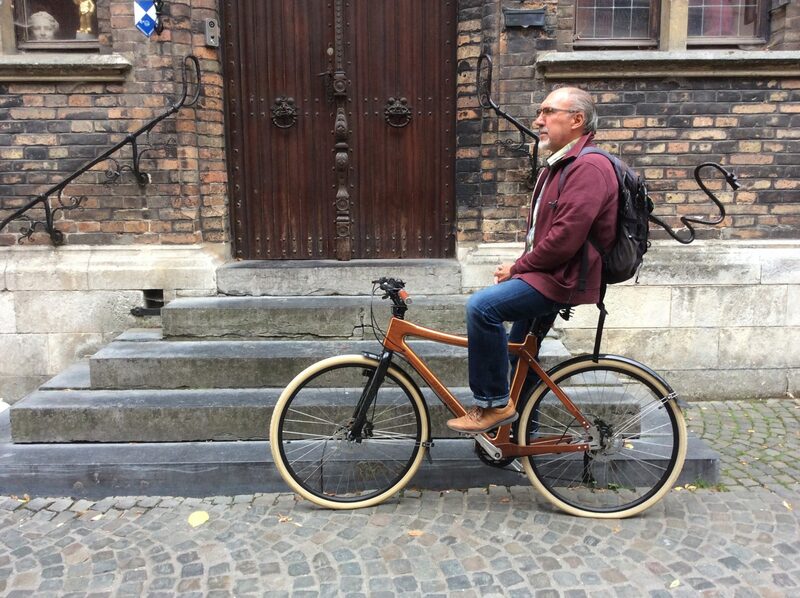 I am the proud owner of the wooden bike given to me by my colleagues at Mieke Verhelst for my retirement in June 2016. Everywhere I go wondering eyes are following me … and my bike. Last year I fell over my wife’s bike who had to brake hard to avoid another bike… my bike smashed heavily into the ground (together with me…) but it did not move one inch … so it is metal hard!!! Thank you for making such wonder on wheels…! I live in a beach town where I ride my bike far more than I use my car. I was looking for something unique and I have found it, this has to be the ultimate in luxury cycling! I took the bike to the beach where it turned so many heads! I was literally stopped every five minutes by someone who wanted to see the bike up close and ask questions about it. This is such a beautiful creation and quite unlike any other bike, you will have seen. 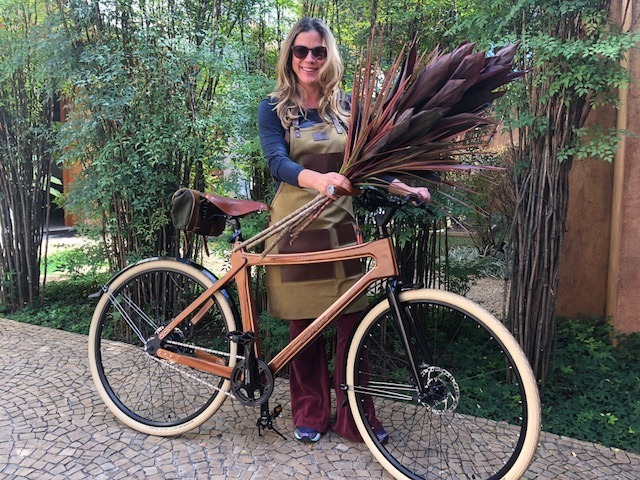 Thank you for a bike that women who love fashion, style an glamorous lifestyle can call their own. From my home in Nice to Antibes and back- 52 kilometres- smiling from cheek to cheek, wearing a hat and earrings. Effortless and beautiful. Thanks to Materia Bikes team! The bikes are just amazing! 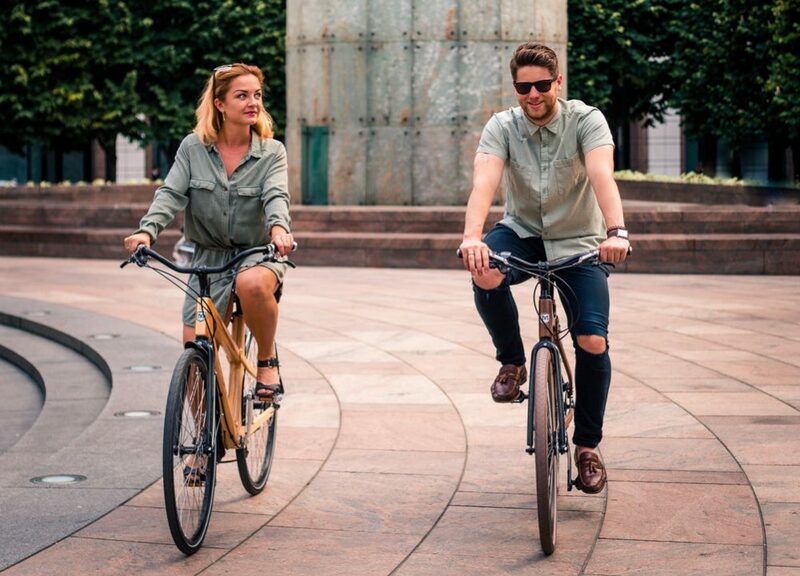 Our new bikes are the perfect motivation for us to cycle more often and cycling has become our Sunday routine. Ride with Materia Bikes are so smooth and it is really a joy to ride this masterpiece.